While mobile phone and PC-related chips still represent the biggest market for semiconductor manufacturers, the Internet of Things (IoT), advanced robotics and automotive markets are where the most rapid growth is taking place. And several significant trends are driving the global semiconductor industry, including increasing demand for smart homes, the development of smart cities, products like smart watches and other wearable devices, and the emergence of quantum computing. But, last December, investment bank UBS forecasted that, in 2019, the semiconductor industry will experience a 4.3 percent decline in revenue– the first year-over-year decline since 2015. That’s why today, more than ever, it’s important for fabricators of microprocessor chips, integrated circuits, memory chips, flat panel display, LED manufacturers, and MEMS to make the most of their fabrication plants and the many valuable, yet costly, tools in operation throughout those plants. 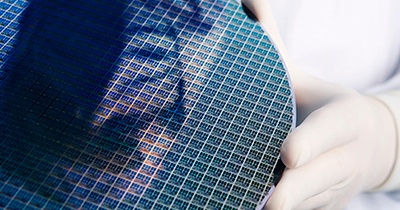 Here are what we’ve found to be the 10 most challenging filtration obstacles facing semiconductor manufacturers around the world. Particle challenges have posed a challenge for semiconductor manufacturers since the dawn of the industry. The reason is clear: particle deposition on the wafer surface causes the circuit to malfunction. The difference today is the size of the particles causing the issues. Picture, for a moment, a semiconductor chip as a major six-lane highway in which electrons are flowing at a frenetic pace. Today, with rapid advancements in chip design, the traffic is flowing not within six wide lanes but on lanes that are now only nanometers wide. Reality is, just one 10 nm particle can block traffic and prevent electrons from flowing freely. So, how do we capture those particles, and prevent them from ever making it through the gas lines and onto the semiconductor superhighway? Stay tuned as we tackle this topic in a future post. In the semiconductor manufacturing process, controlling moisture levels in the system is critical. When water reacts with chemicals used throughout the process, it creates acids and other vile components that can destroy equipment and impact performance in the process chamber. Semiconductor fabricators rely on vacuum to pull water vapor out. But, like anything, the more surface area, the more vacuuming that has to be done and the longer it takes to completely dry the system. There are two times when moisture is most likely to disrupt the process: when first initiating the system and when replacing gas containers. In a subsequent post, we’ll discuss how the proper filters can help or hinder the eradication of moisture in a system. It’s all so confusing! The chemicals and gases used in the manufacture of semiconductors are oftentimes highly toxic, extremely caustic and, as such, extremely dangerous. In a single chamber, there may be 16 different gases present. Which filter is compatible with which gas? It’s a recipe for disaster. What if you could stock one filter and one fitting to use with any type of chemical or gas? How would that lower your chances of putting the incorrect filter in any one line, and causing a harmful chemical reaction and significant danger to workers? During manufacturing, when the wafer is moved into the process chamber, it travels from one condition to another – from vacuum to atmospheric. The challenge is to ensure this occurs at a slow enough speed to avoid turbulence that can cause damaging particles to be stirred up and deposited onto the wafer. Unfortunately, the slower the transition time, the less the system’s throughput. So, the challenge remains to minimize the time it takes to go from vacuum to atmospheric state, thereby maximizing system throughput. This challenge is easily overcome with the help of a small but mighty gizmo. We all know that, in the manufacture of semiconductors, you need to rely on some fairly hazardous gases and some extremely high temperatures – an unforgiving combination. Harmful gases such as arsine, diborane, hydrogen chloride, nitrous oxide and silane can present critical safety issues if leaks occur and workers are exposed. But what if you could install something of a "speed bump" in the cabinet, such that, if a line were to leak, gases would escape at a much lower velocity and at a lower rate? How much less extensive and how much safer might your gas abatement system be? If you’re curious as to what this “speed bump” is, we’ll explain in depth soon. After devices have been fabricated in the wafer, connections must be made to connect the circuits. As we know, the process of metallization deposits metal layers on the wafer to create these conductive pathways. It’s an ultra-precise process that includes zero margin for error. Metal precursors can flow at temperatures as high as 200°C in the form of vapor accompanied by liquid and solids. Before arriving in the chamber, the precursors must pass through a filter to remove the liquid and solids. However, in some instances, the filter creates resistance, causing the temperature of the metal precursor to drop. The more resistance, the more the temperature drops. Ensuring the metal precursor remains in the vapor stage is not difficult; it simply requires use of a filter designed precisely for this task. Yield relates directly to product quality. A discussion of yield maximization brings us directly back to ensuring deposition uniformity. How consistent are your semiconductor chips from lot to lot? Do you achieve the same product at the end of the month as you do at the beginning? We’ll share strategies to help you manage your variability challenges. Nearly everything affects manufacturing cost. How expensive was the building needed to manufacture the chips? How well are you utilizing your expensive equipment? What’s your equipment uptime? How long does it take you to dry down when moisture enters your systems? How quickly can you fulfill your largest order? When you separate your thousands of chips, how many of them pass inspection? And, of course, you can’t put a cost on safety…how many health and safety incidents have you experienced in recent years? Operational experts work tirelessly to make the semiconductor manufacturing system as efficient as possible and drive out costs at every opportunity. We’re also passionate about helping to drive down costs so we’ll share some best practices with you. There you have it: a quick rundown of our top 10. We invite you to join us as we delve into these challenges in more depth in the coming weeks. And, we’d like to get your perspective. Shoot me an email if you’d like to add something to the list. In the meantime, download our Semiconductor Products Catalog for the latest metal filtration and flow control products.